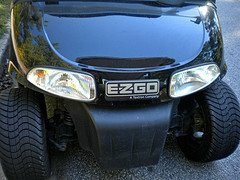 Golf Cart Lights -Tips for Adding or Replacing Halogen or LED Lights. Golf cart lights make it possible to use your cart at any time. Besides serving a purpose they can add style and a custom look. If your cart doesn't have any lights add them as an aftermarket golf cart accessory. They also need to be replaced periodically and it is an easy job for anyone to do. Golf cart lights doing double duty with cutouts and a light bar means there's no road too dark for this golf cart. 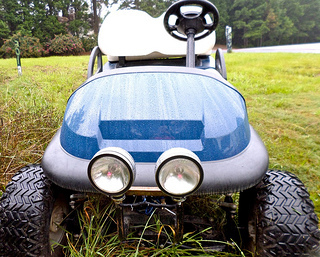 Golf cart headlights can be purchased for different reasons. Headlights are specific to a golf cart make, model and year but that doesn't mean there is only one light kit option. Fortunately the old incandescent bulbs are being replaced by either halogen or LED lights. Here you can see how creative golf cart owners get with their lights. Lights come in a variety of sizes and styles. A solid bar across the bottom or choose from small or large headlights attached to the front body. Newer carts have replaced their incandescent lights with halogen or LED lights. These bulbs last much longer and won't burn out. 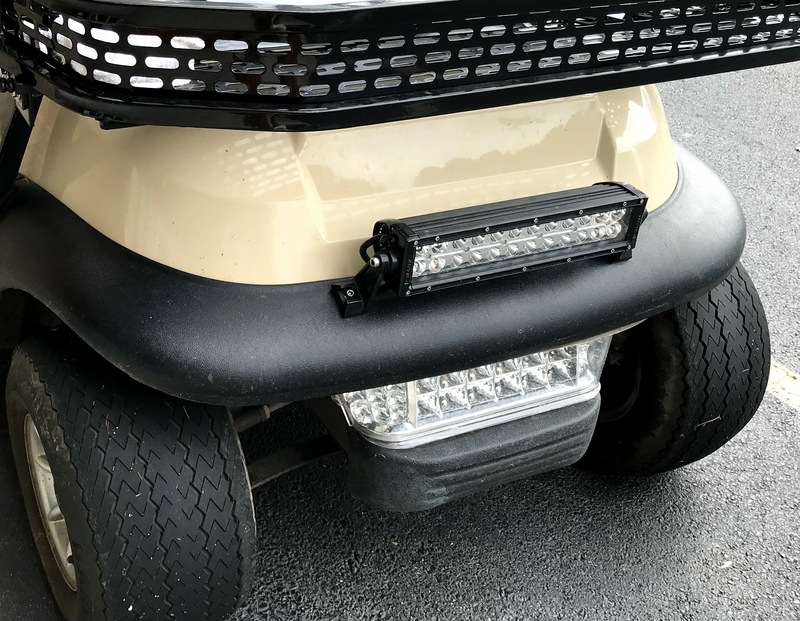 Another benefit to these golf cart lights is that they pull less current than the old lights, which means there is less drain on your battery and more distance to your ride. Lights installed right into the body look more finished and natural. Cutting into the body is not that difficult. All cutout light kits come with a template. Measure and mark it with a dry erase marker and you can have a professional looking job. People often use a Dremel with a straight drill-like cutter or a saber saw to make their cuts. Be sure to read your install instructions completely before starting your project so you don't accidently blow your bulbs - because if you do, the warranty is void. 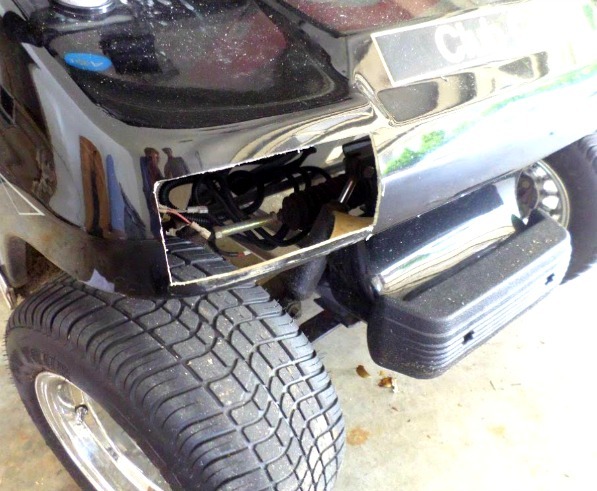 If you don't want to cut into your golf cart, you can attach lights to the front cowl. They may not look as great, but hey - they work and there are some people who prefer this look. 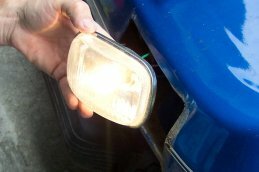 Most of the newer headlights now use LED bulbs - much brighter and they last longer. 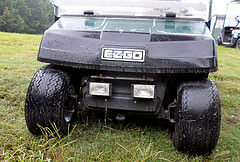 You can save some money by getting a golf cart light kit that includes the front and tail lights. The light bar option makes for an easy install. No need to cut the front cowl - just place the lights under it. 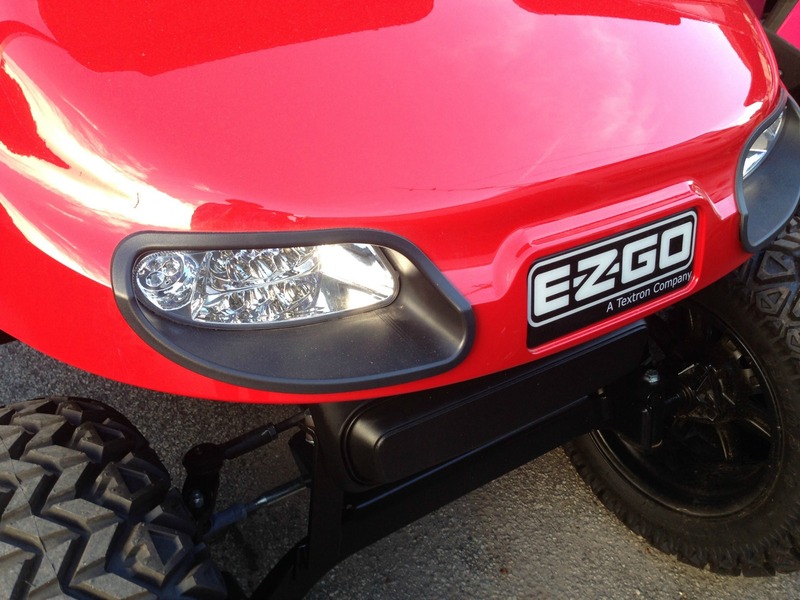 The bar light kit is available for EZ GO TXT models and the Club Car Precedent. 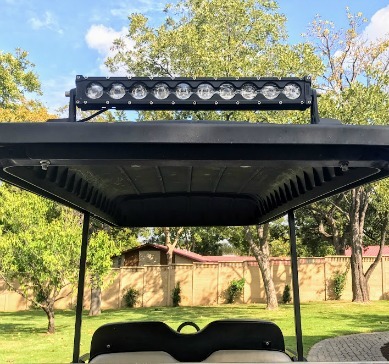 In addition some owners like to place a light bar on the roof of the golf cart for additional illumination. 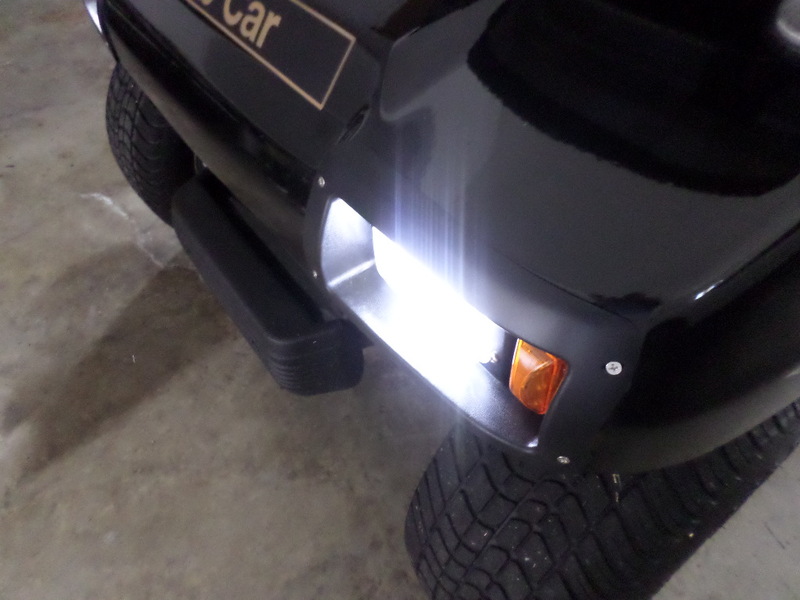 There are universal headlights that will work on any golf cart. They are installed below the front cowl like this one pictured but they can also come as a bar light. A lot of people find this golf cart light kit easy to install and use. It comes with a bar head and tail LED kit and and an on/off switch. There is no need to cut any holes with this kit. These are extremely bright but still draw only 4.46 watts. The plug-in design makes installation easy but the company provides a video instruction at www.tecscan.com. It can be used on both a gas or electric cart. You will also need a voltage reducer if you have an electric cart so you don't draw power right from the batteries. 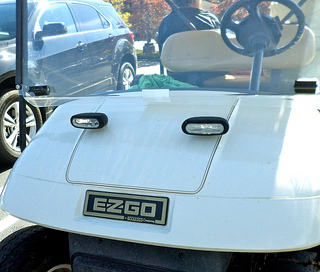 One of my favorite Club Car accessories on our 2006 refurbished golf cart is the headlights. I noticed a difference right away. The new halogen bulbs are so much brighter than my old incandescent lights and will last much longer too. 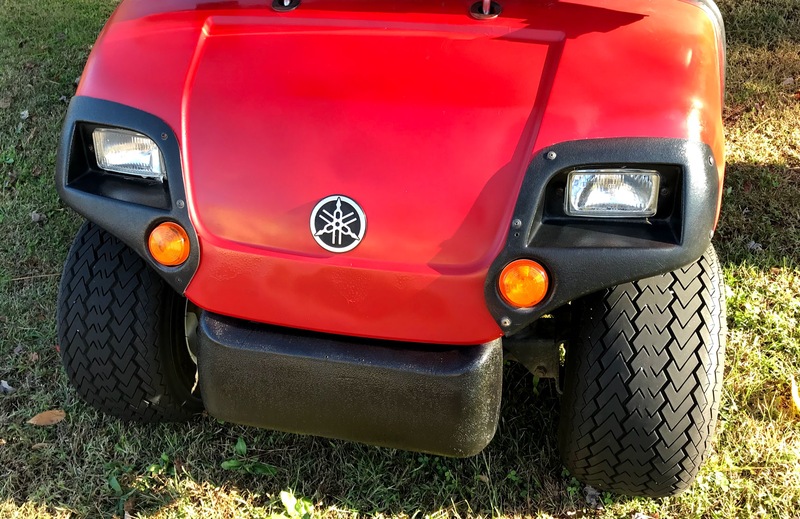 Our golf cart headlights get used frequently since we live in a golf cart community and use our cart in the evenings to grocery shop, go out to dinner or stop by a friend's house. It's no surprise that they need to be replaced periodically. 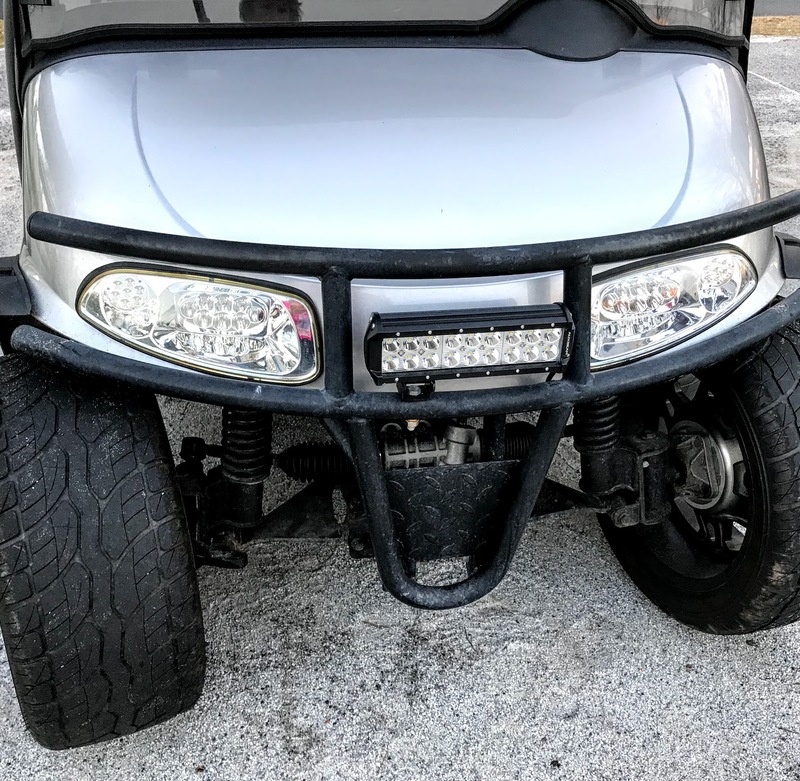 Depending on the make and model of your golf cart and the type of headlights you have, you may have to replace the whole headlight instead of just the bulb. 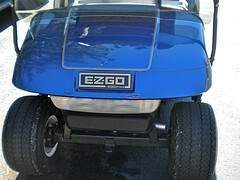 To replace or add EZ Go golf cart lights to your cart you need to know the year and model of your golf cart. 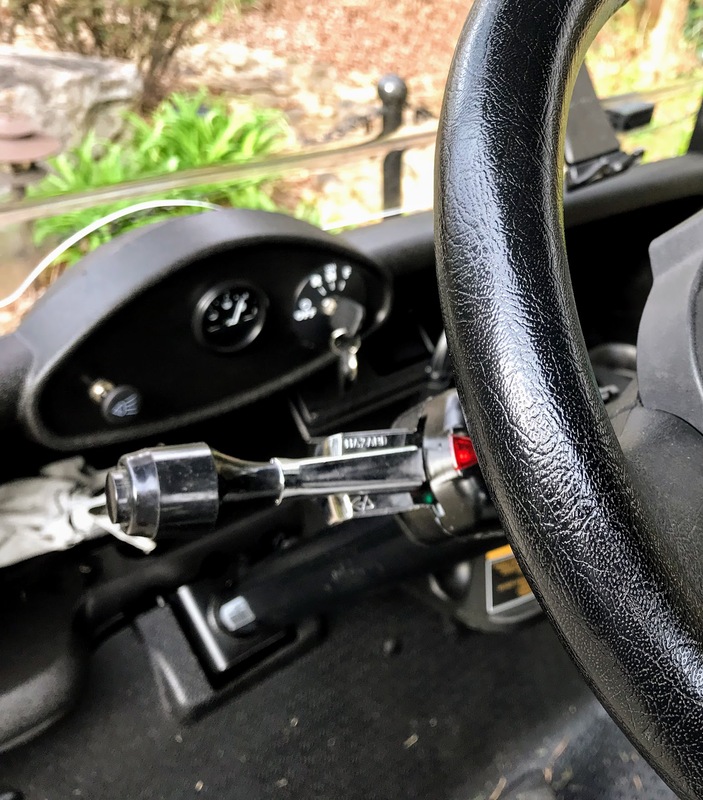 A basic light kit for a Yamaha golf cart includes 2 halogen headlights and 2 taillights that are pre-mounted in black plastic bezels, plus 1 wiring harness and 1 on/off switch. The recessed style looks like it just came from the factory. Carts with 8-volt batteries require a voltage reducer. This underglow light kit for golf carts is a fun way to light up your cart at night. The kit provides water resistant flexible tubes that include 108 Ultra Bright, Wide Angle LEDs. There are a variety of different light settings. The kit can only be powered by a 12 volt system, and with the included self-tapping screws and zip ties, installation is a breeze. There is an instruction video on the LED Glow website. Become the coolest golf cart in the neighborhood - everyone will ask you where you got these lights! 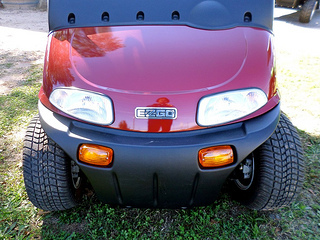 When purchasing golf cart light kits you can buy a kit that includes front and rear lights or an upgraded kit that includes a turn signal and horn. 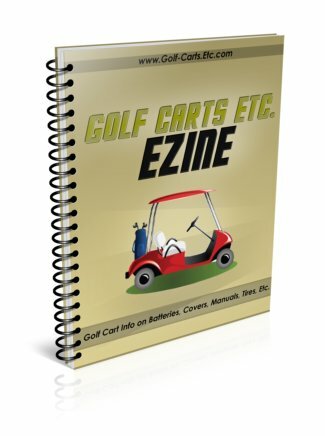 The kits are specific to your golf cart make and model.